We got a late start to the Nova BrewFest summer edition in Manassas. For a while this festival alternated between Leesburg and Manassas but recently they have given up on Leesburg. All week we watched as the weather forecast turned for the worst and the likelihood of a summer thunderstorm growing with each passing day. When we finally got out there on Saturday we hoped for the rain in fact. It was so freaking hot it was unbelievable. It was the last day of spring so hopefully this was not a prelude to what summer would be in the area. We didn’t arrive till just after noon and meet up with a few friends already at the festival. This time I remembered to bring cigars to immediately lite one up before getting to the beer. The lines this early were short so we walked right up for our first beer. In fact all afternoon the lines were non-existent. I think the high heat and humidity along with the almost certain chance of a summer afternoon thunderstorm kept most people at home. 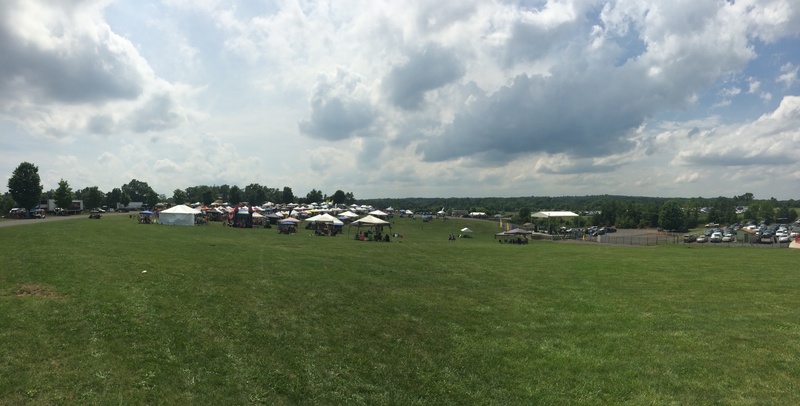 The entire field for the beer festival. Bad for everyone else but good for us. Occasionally the breeze would blow and later in the afternoon the clouds started to role in providing some much needed relief from the heat. The 89 degree temp wasn’t that bad in the shade but with the sun beating down and the 60% humidity it made it tough. Thankfully I brought my CamelBak and between Nancy and I we emptied it with a few hours left to go in the festival. Without that water I don’t know how I would have made it. We spent the next few hours sampling some decent beers. Many of the brewers at the Brambleton beer festival a few weeks before were at the NovaBrew festival. Unfortunately this meant many of the same beers. I found and stopped by Crooked Run and they had the same beers as before. Not to be disappointed I did get a sample of the Summer Nights to enjoy. This festival winner was the Tin Cannon Double IPA which I gave a 4 stars. A great double IPA that had a good amount of hops and bitterness but not really a dry flavor to it. With almost 8% alcohol it didn’t have that typical alcohol taste to it either. More of a citrus taste from the hops, skipping the floral notes. We have attended this festival a few times in the past. The bowl where the stage sits in is great with all the beer and food vendors at the top. Being on a large hill you get some spectacular views of the mountains in the distance. You can also tell when the storms are rolling in. 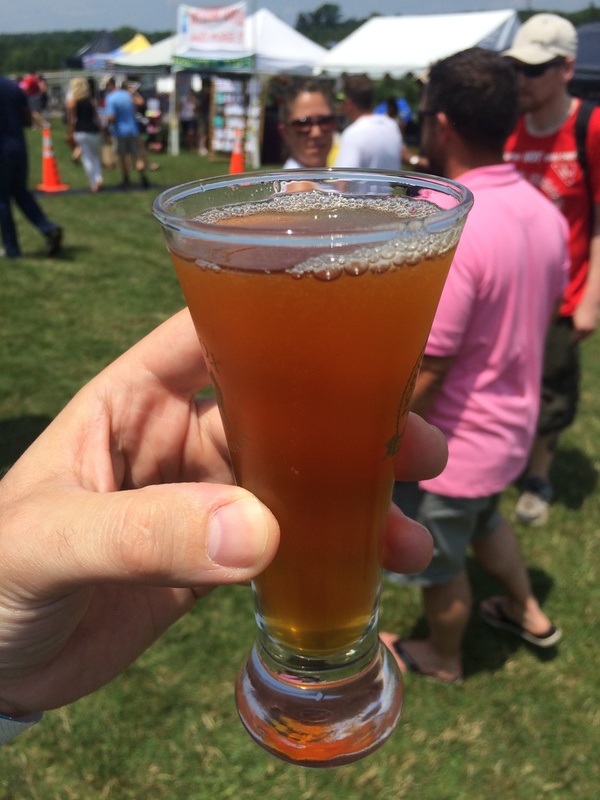 This years festival had a much better choice of local brews with roughly 60% being from Virginia or Washington DC. The weather could have been better and by better I mean cooler. So far this year, two beer festivals. Wonder if I can make it three in a single year? It has been way to long since we have made it out to a beer tasting. My dad and I have done several in the past, even been to a beer dinner before, but it has been years since we have been to a beer festival. 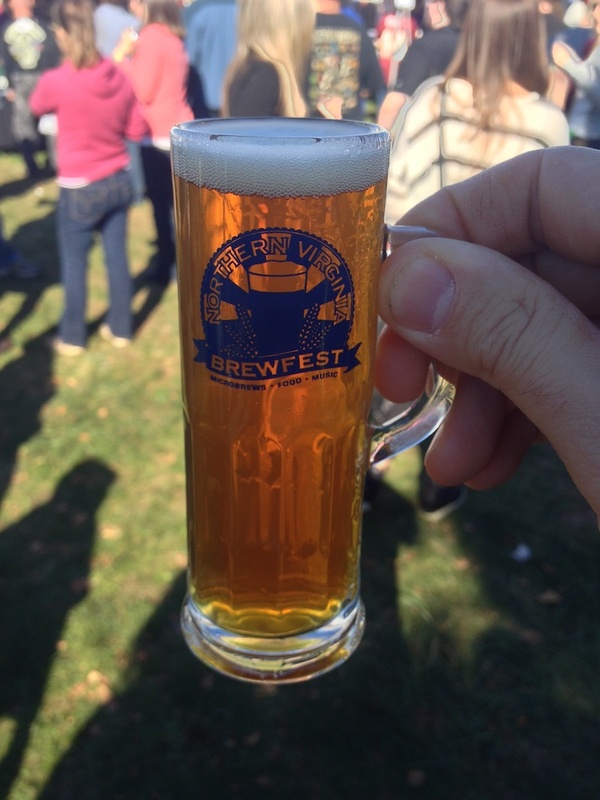 Every fall there is the NOVA Brewfest at Bull Run Regional Park in Centreville. We have been here several times over the years. Mostly I have been here because of my old company, we use to have a booth selling cigars. Occasional we would make it out to enjoy some beer. For several weeks I have been working extremely long hours at work and was looking forward to the afternoon of tasting beer. 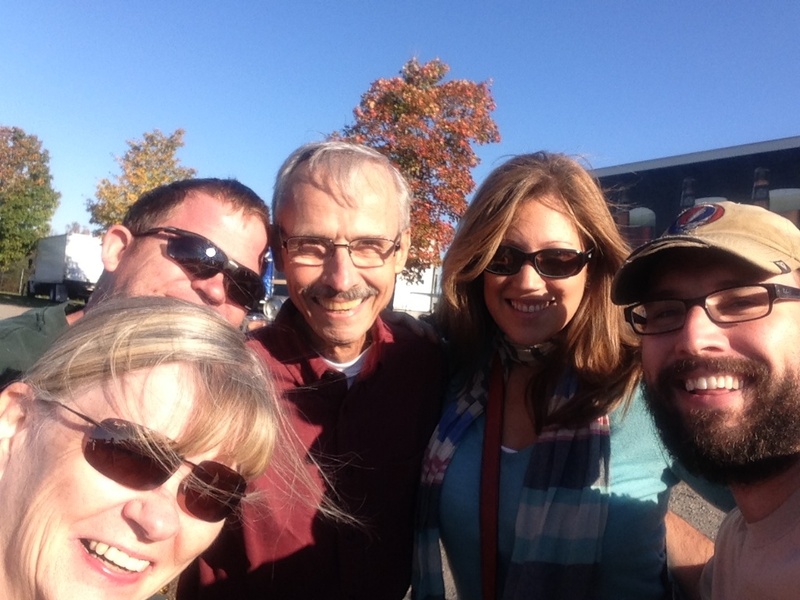 The weather on Sunday was perfect for a fall day, upper 60’s with clear skies. With over 40 breweries attending there were a lot of choices. Looking at the map I was a little disappointed to find only a handful I had not sampled before. Right now there is a craft beer explosion. Many are widely available at local restaurants, grocery stores and even national chain restaurants as well. As a beer lover, this is great, it just makes it harder to find new beers sometimes. When ever I travel I always look for local beers that are not generally available in my area. We sampled a few weird ones today. I had a couple organic ones by Uinta Brewing that were good and sampled some pungent Belgium white wheat beers from Ommegang. I still have yet to find one of these I like but I keep looking. The crazies one we found was a honey basil, I don’t remember who made it but it wasn’t bad. It was sweet but the honey and basil were both subtle flavors, not exactly what I was expecting. After a long week it was good to get outside and enjoy the beautiful weather to drink beer and smoke cigars. It is not often I get to do this so when I get the opportunity, I take it.